Lisa Schmidt has judged many prestigious shows and is an USDF ‘S’ Dressage Judge with the Young Horse and Freestyle Certifications. 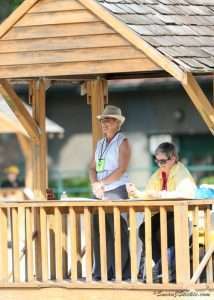 Lisa was the first R judge to have judged the National Dressage Seat Equitation Finals. She is currently booking dates for 2018 and 2019.